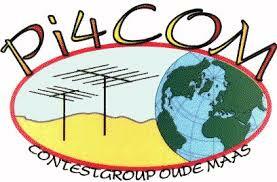 In 2015 Contestgroup Oude Maas (COM) celebrates 25 years activity as an official radioclub with the associated callsign PI4COM. 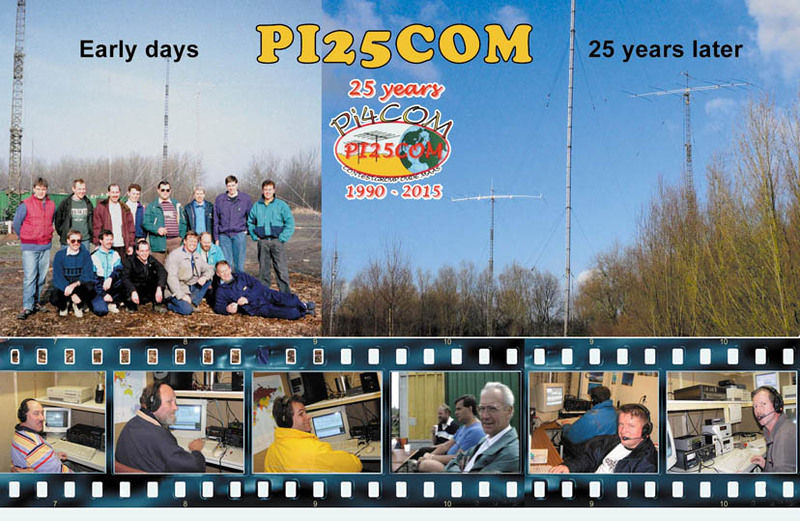 During 2015 the special callsign PI25COM will be used during several contests to celebrate this outstanding achievement. 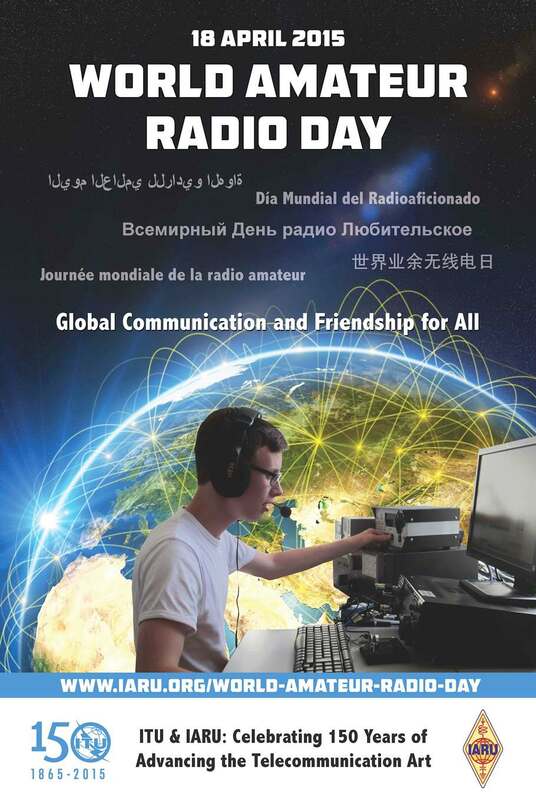 COM is the “official” sequel of 8 years of activity by a group of radio amateurs in the period 1982-1990 where they participated in contests signing PA3ACA (/p), especially the field day and PACC contests. Started as a annually “cozy getaway” it grew over time to a more focused group entering the competition element. In the early years was always in different locations and fieldday style stations. As the focus shifted from coziness to competition, the need for a fixed location was getting stronger. During the search that followed it proved desirable to come forward as an official association to open doors. In fact this was the reason for the creation of “Vereniging Contestgroep Oude Maas”. This happened in 1990. PI4COM was born. COM has over the years evolved from a group of enthusiastic amateurs to a pioneer in the field of contests in particular on the HF bands. The introduction and use of a number of now-omnipresent, techniques and software in the national contest community are due largely to the activities of COM. The interest for the contests on the HF bands in recent years grown in the Netherlands. COM played an important role in this proces. 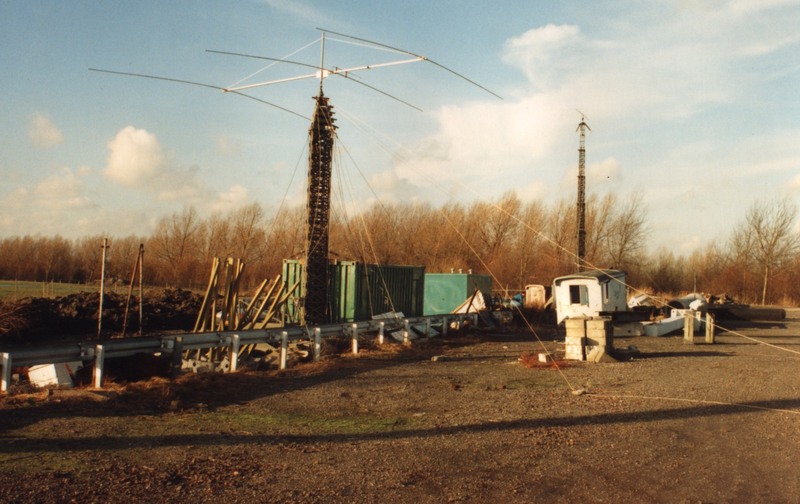 The location on the banks of the Oude Maas at Barendrecht offers plenty of opportunities to experiment with different type of antennas. Important for a contest group because the antennas are ultimately the most important weapons. The remote location minimizes the risk of interference to and from third parties. Darkside of a remote location is the vulnerability to vandalism. Outside contests the location is available to members who want to individually join a contest or to use the antennas to get a new country in the log. The PI4COM station already helped many members to new countries. It’s very simple. Basically, anyone can join the association. After registration, the application for membership at the meeting dealt with the assent of the other members, membership is a fact. The rights of a member? 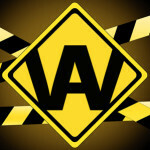 Each member is entitled to use the location, and participation in activities of the association. In principle, always have activities of multiple members, the relative priority of individual operations. 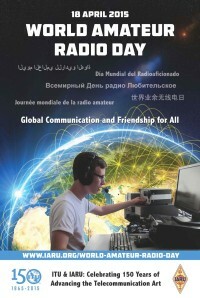 It was agreed that HF contest activities always take precedence over all other activities. In practice, this is never a problem and there is always enough room for everyone’s ideas. The duties of a member? Each member has the duty to pay his dues to COM. The membership fee is determined annually and currently stands at € 190 per year. Another not insignificant “duty” of a member to contribute his or her part in the development and maintenance of the site. In practice this means a number of days per year the hands stabbing their sleeves at the location for the maintenance and improvement of the antennas and buildings. For more specific questions and information you can always visit the (board) members of PI4COM.